Swim fins are a form of tools that can help you to learn a new swim stroke or improve your swimming technique. Here’s a short video clip of what swim fins look like and how to use them. Swim fins are normally classified into 3 different categories. They are diving fins, long blade fins and short blade fins. 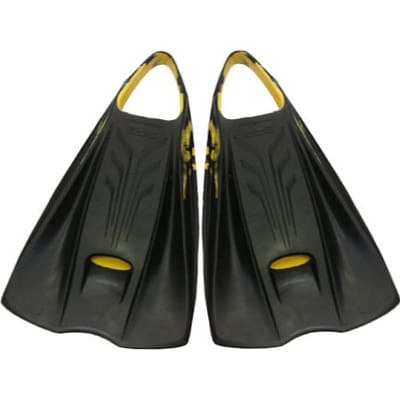 Diving fins, as stated by the name, are used for diving most of the time. 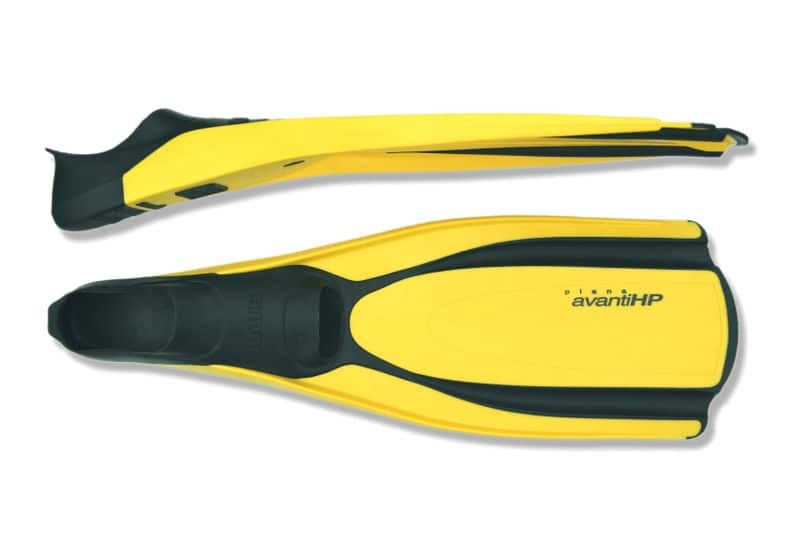 Long blade fins and short blade fins are more suitable for swimming. Short blade fins have recently become popular over the past few years. So which fin is for you? Firstly, diving fins are definitely out of the question as they are too long to aid in swimming. Long blade fins, on the other hand, are alright, but they can cause strain to your Achilles tendon. Hence, the best option would be short blade fins. The reason is because when you use short blade fins, your kicking motion mimics that of real swimming motion more. Furthermore, they do not cause that much of a strain to your Achilles tendon as compared to long blade fins. The fitting of the swim fits should be tight, but not so tight till it hurts you. However, do take note that the fitting will be more slippery when you are in the water. Swims fins are usually used to aid in the kicking motion of the freestyle, backstroke and the butterfly stroke. They are usually not used for the breaststroke as it would be awkward and ineffective to practice the frog kick with swim fins on. 1. They keep your legs up and propel you forward while you practice on the kicking and arm motion of the freestyle or backstroke. 2. They provide additional leverage for you while you practice the body movements and dolphin kick of the butterfly stroke. 3. They give you an effective and efficient leg workout when you are doing your kicking practices. 4. They help to loosen your ankles, making them more flexible. This in turn, helps you with your flutter kick. With the aid of swim fins during your swimming sessions, you will be able to pick up techniques faster as well as improve much quicker. Hence, you can try to pick them up to aid you in learning to swim! If you would like to know more about swimming and/or learn how to swim, feel free to register with us via our website. Our friendly coordinators will be more than happy to assist you. We will definitely be looking forward to seeing you at the pool! Hi, would you be able to advise where to buy training fins for kids? Age 5-6. No you can’t use them in public pools.